Serial entrepreneur with three start-ups under my belt, one exit, one business still running and one scaling up. He created a successful, high quality bespoke software and IT services company, MSM Software, and retired from running it. He spuns off and successfully exited Easy Knowledge Ltd and have recently spun off Risk Solved Ltd which is at scale up stage of development. He has experience of devising and implementing business plans and strategies and of executing them. He is not afraid to delegate or let go, and is used to recruiting and growing management teams. He focuses on marketing, sales, people and cash. He has been particularly successful at building a quality management team and recruitment and retention strategy to secure only the best technical people. In 2013 he handed all responsibility for his first company including P&L to an internally promoted MD and is proud that it exceeds our stretching targets. He is also proud that promotion on merit resulted in its management team being 83% female. His passion and expertise lies in external activities, i.e. marketing and sales, especially the latter. In his time he has single-handedly won major clients in the third sector and insurance sector such as the National Trust and QBE Insurance. He has won most of the company’s turnover (c. £27 million) and generated it primarily from referrals and online leads since 1998. 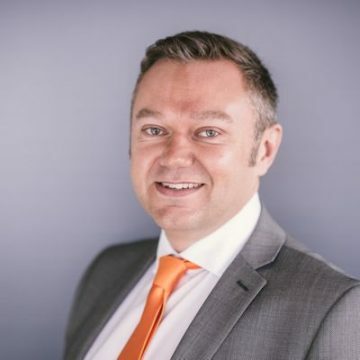 He is comfortable operating at all levels within client companies and capable of solution selling from presenting a business case to gathering requirements. He is a strong believer in building long term relationships with clients and winning their trust in order to secure repeat business. He was a committee member of the TechUK Insurance Workstream within their Financial Services programme until they disbanded it. He has an uncanny ability to see the whole picture of our business and clients’ businesses while being detail orientated. He is a strong believer in applying common sense to any situation and am energetic and expect the same characteristics from those around me. His personal objective is to continue to be criticised for being too honest while growing the business substantially.